Although the winter weather where I live is not something that I'm looking forward to, autumn and winter beauty is looking promising! Personally, I tend to switch up my makeup seasonally and that is especially obvious in the eyeshadows that I go for. In spring and summer, I love warm pinky-orange looks or golden-bronze ones. In winter, I reach for deeper berry tones, purples, and burgundies and so I'm bringing palettes with those shades to the front of my collection. Is there a more perfect berry-toned palette for fall? Surely not, especially not with a formula like this. While the pops of color might seem unwearable, there's a great selection of neutrals in this palette as well. It's very pigmented, but blends really well so it's great for beginners and experts! This is fall in a palette to me and the first one in my collection that I thought of when making this post. Other than berry shades, I also really like purples, golds, and bronzes for autumn and winter. This Morphe palette has a huge selection of shades and the foiled ones are truly stunning. Morphe is also now available at Ulta, which makes it much easier to get a hold of! 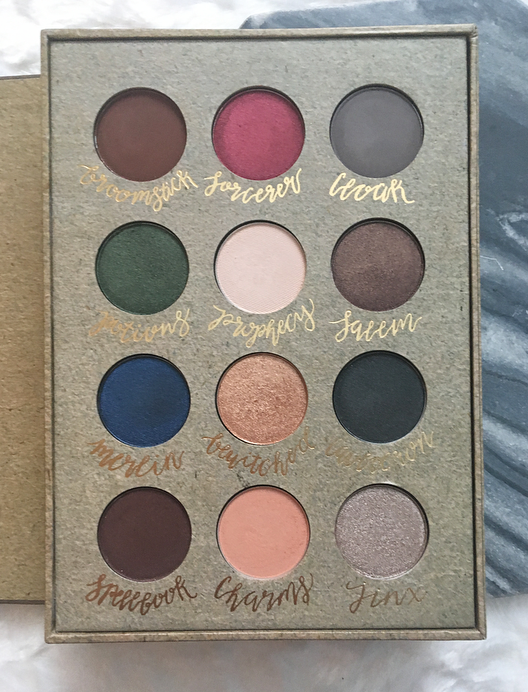 At first glance I passed over this one in my collection, but then I remembered the gorgeous matte burgundy shade in this palette and immediately thought of some beautiful fall looks that you could make with this palette. It's on the warm neutral side with a good selection of mattes and shimmers. To me this palette just begs to be worn to a Christmas party! 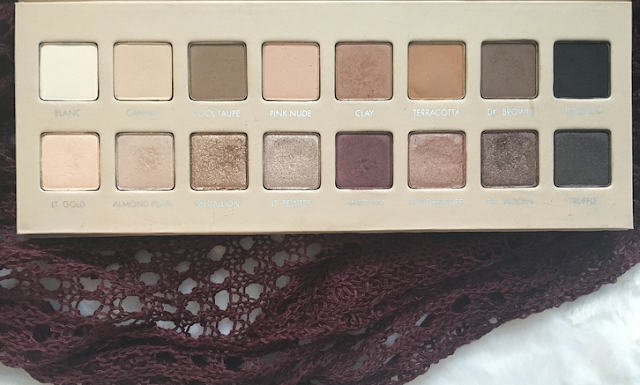 I reach for this all year round, in fact it might be my favorite palette that I own, and for good reason. 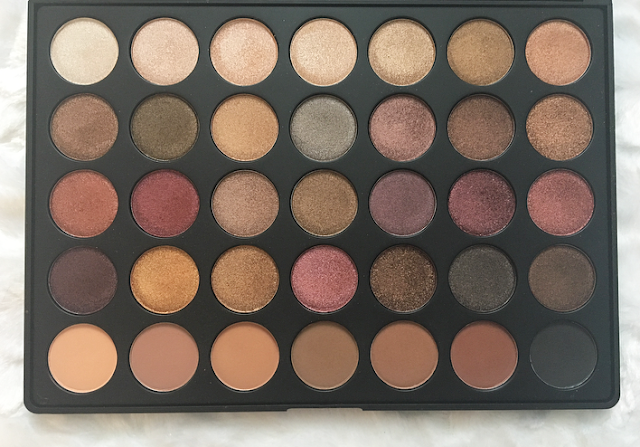 The top row of mattes are incredibly blendable and the shimmery row has every metallic shade I could want--purple, rose gold, champagne, gold, etc. The only disappointing shade is Medallion. I'm going to sell this palette to you in one sentence: Harry Potter inspired. Need to know more? Okay, well, it's shaped like a book and has the most diverse shade range of all the other palettes I've included in this post. There is a gorgeous emerald green, a sapphire, a bright red, a stunning true gold, and some more neutral mattes to blend it all together. I find that some of the brighter shades need a bit of setting spray or a wet brush to be fully pigmented, but other than that I am impressed with this indie brand and I've actually ordered another palette from them. I would love to know your recommendations for the upcoming seasons! 24 comments on "Autumn/Winter Eyeshadow Palettes"
Loving all of the tones in these palettes! That Morphe palette just screams autumn - it's full of warm toned goodness! 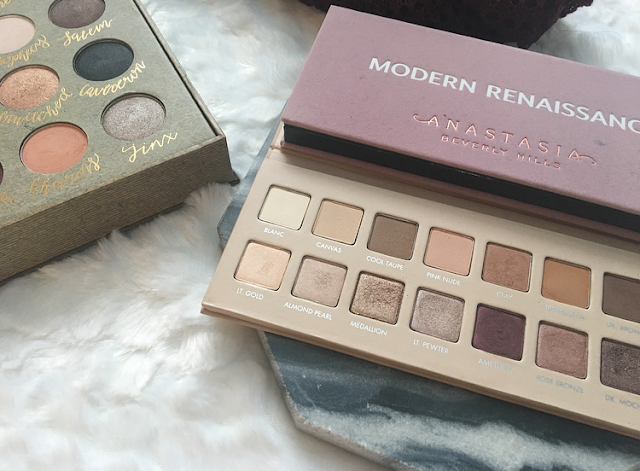 I have this same blog post going up on my blog tomorrow and the Modern Renaissance is on my list too. That last palette looks really pretty especially the green shade. The Storybook palette has so many fun options - I can just imagine how much fun it could be while preparing for Christmas parties and events! They all look really nice but I love the Modern Renaissance. I want to buy it! I really don't reach for my Modern Renaissance as much as I should. I need to put it on my vanity and make sure I wear it. Great post! It's interesting to see how we adapt our makeup to the seasons. That's Storybook Cosmetics palette looks so pretty! Ah I've wanted to try a Lorac palette for ages and this one is just gorgeous. Perfect for Christmas! These palettes are absolutely beautiful. Love especially Modern Renaissance . 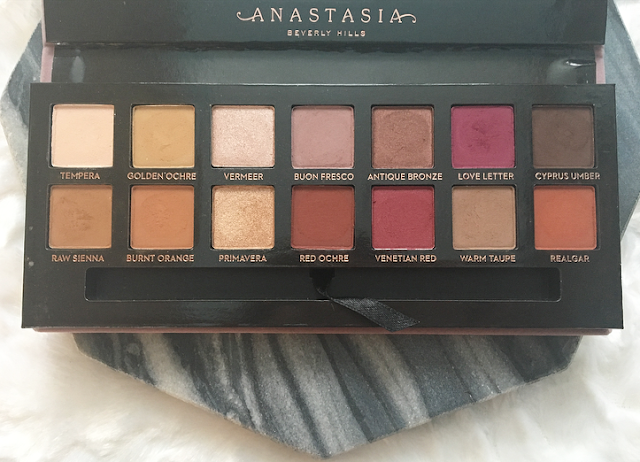 The ABH palette has been on my wishlist for way too long now, I just need to buy it already! I am so late to this train. I only JUST bought the MR palette and I soooo love it! It shows amazingly on my deep skin! Nice post… I like the all details and ideas!!!!! My Sephora order is out for delivery and it has Modern Renaissance in it! I can wait to play around with it today! I love the Modern Renaissance palette for this time of year. It's perfect! The Morphe palette looks really good too. So many pretty shades! I can't believe I've had the Modern Renaissance palette for over a year and I still have barely played with it! Thanks for reminding me of it! those are some iconic palettes!